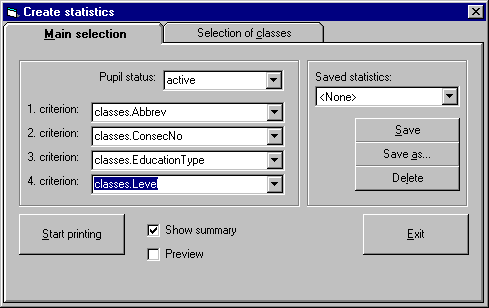 This is the window for creating statistics . For a description of the buttons please scroll down. This is the window for creating statistics. : It will save the combination for report generation. : It will delete the combination of report generation. : It will print the absent pupils for chosen combination .